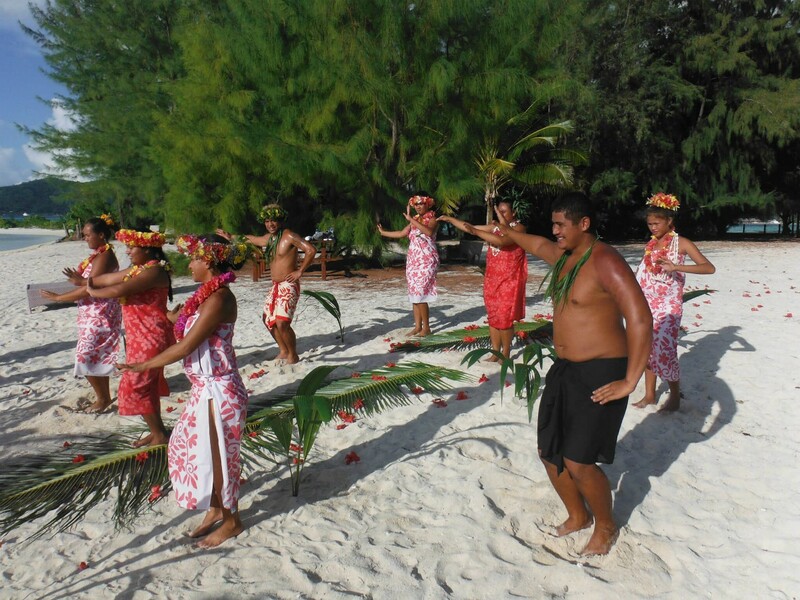 There’s simply no better place to get married and celebrate your love than Bora Bora, the island of love. Apart from featuring otherworldly sandy beaches, blue lagoons and a lush rainforest, this tropical haven is described as the most romantic island in the world. 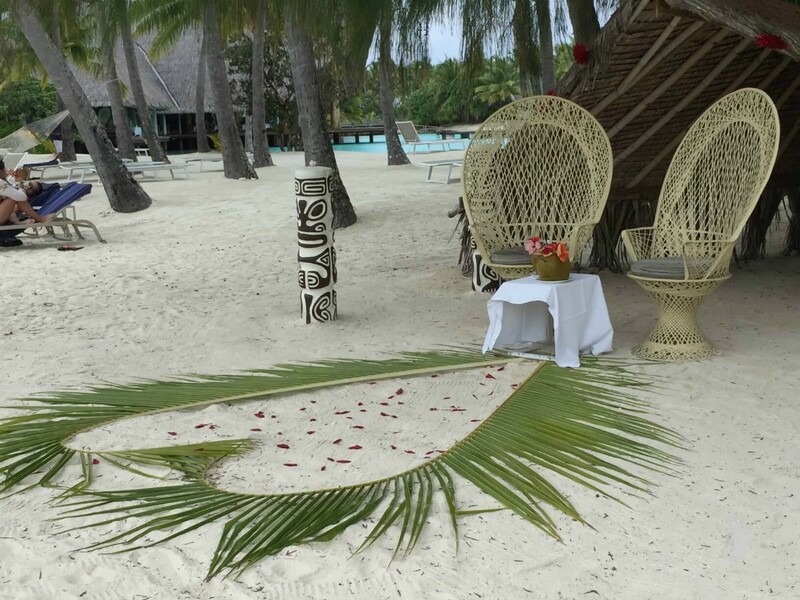 You and your loved one can have a dream wedding in the magical setting of Bora Bora and then continue your honeymoon in one of its luxurious resorts where your every wish will be granted. Before diving into the world of inspiration for your Bora Bora wedding and honeymoon, there are a few important things to have in mind regarding the legal aspect of your wedding. 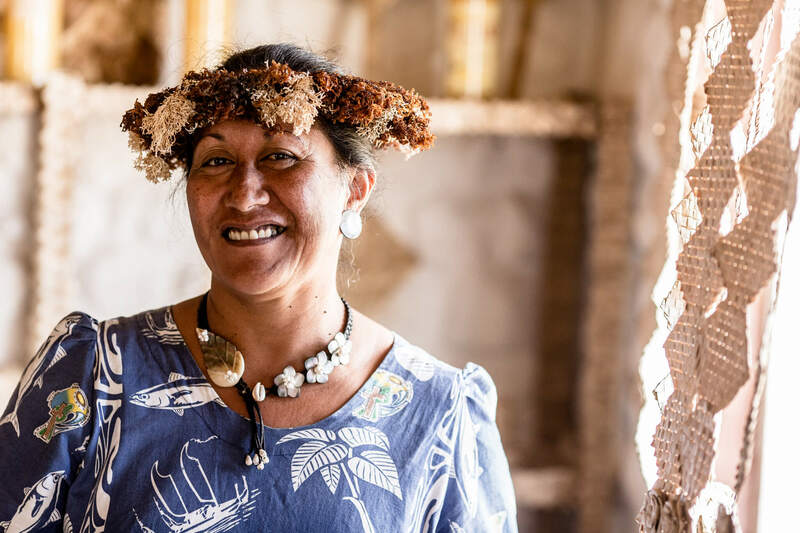 Since Bora Bora has become an extremely popular wedding destination, the authorities have approved legal marriage for couples without the island’s residential status. However, if you want to get legally married in this tropical paradise, you need to start the application process early on to get everything you need because your paperwork must be submitted 45 days before your wedding. Once you’ve completed these formalities, you can start planning your dream wedding. With its sandy beaches set against the blue horizons, Bora Bora certainly doesn’t lack beautiful wedding venues. From luxurious resorts to unusual spots, you have a range of options to choose from. For an island-inspired wedding, having a ceremony at one of Bora Bora’s pristine, scenic beaches will certainly create a tropical atmosphere. You can even have an intimate ceremony on a private motu, away from the prying eyes of tourists. Some resorts even offer venues on a hilltop overlooking the turquoise lagoons and lush garden, so if you want a wedding with a view, this is a great option. Couples who want a luxurious and authentic wedding ceremony can hire a luxe yacht and have the ceremony surrounded by the blue waters, while those looking for a more traditional ambiance can opt for a romantic chapel in their resort. 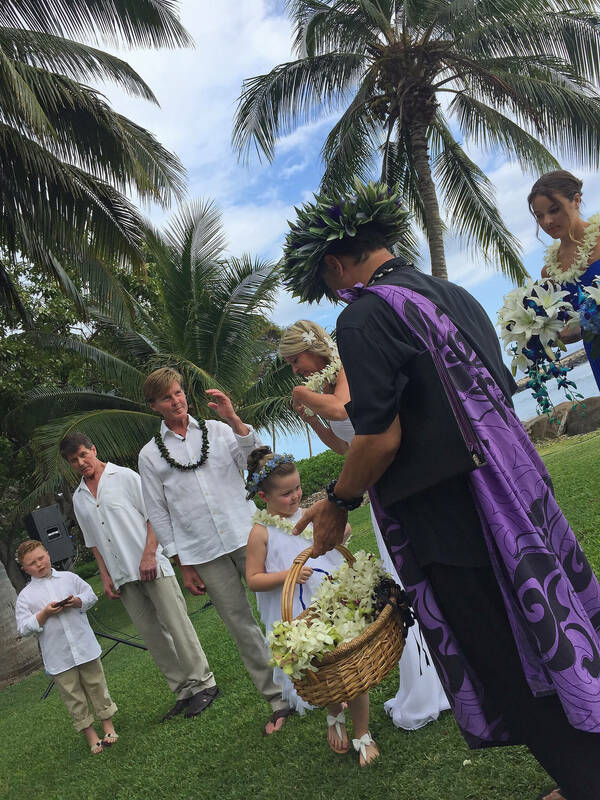 Another important decision you need to make when it comes to your wedding ceremony is whether you want a Western ceremony or a traditional Polynesian wedding. 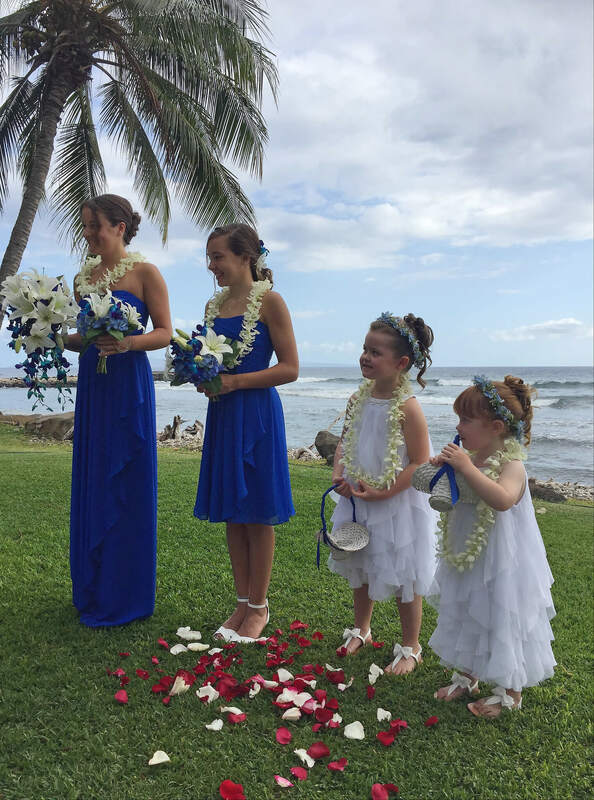 If you opt for the latter, not only will you have a tropical wedding with music and dancing, but you and your soon-to-be spouse will also have an opportunity to choose your Polynesian names. 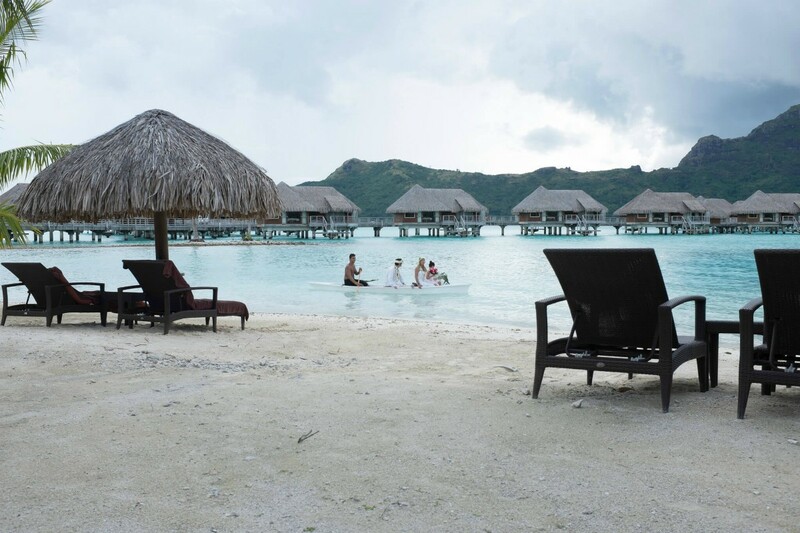 If you and your partner want to spend your wedding and honeymoon in the lap of luxury, there’s nothing more glamorous than staying in one of Bora Bora’s posh resorts, including Four Seasons, St. Regis Bora Bora and several others. Even Jennifer Aniston couldn’t resist the charms of Bora Bora for her honeymoon. Not only will you have all the luxurious comforts, you’ll also have an opportunity to choose a wedding ceremony package and leave wedding planning to the pros while you and your loved one immerse yourselves in island time. As one of the most popular options, the prestigious Le Meridien Bora Bora resort is the crème de la crème of the island’s accommodation. The resort features different, equally charming wedding venues, such as a magical resort beach, a romantic chapel, beautiful overwater bungalows, and others. As for the honeymoon options, you can opt for a beautiful sunset cruise, spa treatments and a delicious breakfast delivered to your private villa. Apart from the amenities of your resort, you and your partner will have a range of different activities to try while honeymooning. From relaxing and sipping cocktails on a heavenly beach to exploring the wonders of the marine world and swimming with manta rays, you can both relax and have a Bora Bora adventure. For a truly awe-inspiring view of the island, you and your spouse should sign up for a helicopter tour of the island. Bora Bora is a tropical haven for couples, offering dreamy wedding locations and exciting honeymoon experiences. So, if you’re ready to say “I do”, why not say it at the most romantic destination in the world?